You’ve done the research. Read the reviews. You’ve picked out the best Android TV box for you. But you’re only halfway done. No matter which device you pick, you’re going to need to pick some Android TV box accessories to use it to its full potential. I’ve put together a list of the main types of Android TV box accessories that I’ve used over the past few years. Not everything is going to be compatible with every box. Some may not work depending on what box you have. Most are universal. All of them are amazing. If your streaming device can’t seem to keep up, most likely the cause is a bad Wi-Fi signal. Video takes a lot of bandwidth, especially if you’re trying to stream 4K video from Netflix or YouTube. 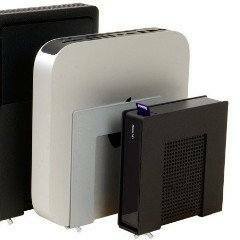 Depending on how far away from your TV your router is, your TV box may be struggling to keep up. That’s when you get the dreaded “Buffering…” error message. If you don’t want to spring for a brand new router for streaming TV, adding a high-gain antenna to your router or your TV box (or both) can help boost the signal and get you the throughput you need. 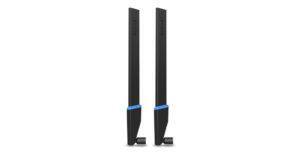 If your device has removable antennas, there are several good options. My favourite is this one from Linksys. The WRT002ANT (and WRT004ANT) works on both the 2.4GHz and 5GHz bands and can almost double your sensitivity (signal gain). There are other antennae that are cheaper, yes. But Linksys has been a leader in networking products for as long as I can remember. I trust their products and have never had a problem with them. I chose to add them to my ASUS router, rather than my TV box. That way, I got faster performance with every device that was on my network. Not just my TV box. For a quick and easy boost to your entire network, its hard to get more bang for your buck than upgrading your wireless antennae. Your TV box usually comes with either 8GB or 16GB of internal storage, so why do you need more? Well, that 16GB is room for about half of a Blu-ray movie at full resolution. Unless you’re the type of person that likes loooong intermissions midway through your film, you’re going to want to have a little extra space on hand. Storage can come in one of two main flavors: memory cards or external hard drives. I’ll talk about both here. SD cards are the most common type of storage and probably the one you’re most familiar with. If you’ve used a digital camera anytime in the past decade or so, you’ve probably got a few SD cards lying around your house. Will they work? Sure. Are they right for streaming movies? Maybe. You see, most of the memory cards are the basic, low-budget cards that retailers like Best Buy and Walmart will put on sale really cheap to get you in the front door. They’ll get the job done, but they weren’t designed for high speed data transfers that you need for high resolution video or images. That’s why I recommend getting a high-speed SD card. It’s common to find them near the Digital SLR cameras or 4K video cameras for exactly that reason. If you have an NVIDIA Shield TV, there are only certain brands and models of cards that will work. Find out more about NVIDIA Shield TV external storage here. The brand you pick usually doesn’t matter. Personally, I trust PNY and SanDisk. SanDisk created one of the first patents on memory cards, so they’ve been doing it longer than anyone. PNY has been making computer memory for ages. You can have your own preference, and that’s OK too. Whatever you feel comfortable with…just make sure it has enough speed to get the job done. If you need more storage than an SD card, and you don’t want to break the bank, you should look at an external hard drive. There’s two important things to consider when shopping for a hard drive, because there are a lot of choices and you don’t want to buy one that can’t keep up with your system. First, do you want a hard drive that’s portable or one that designed to stay in one place. This depends on you and how you view your media. 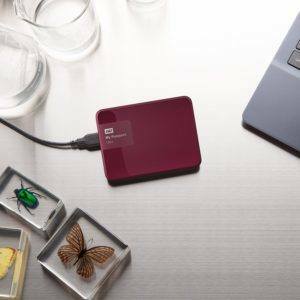 If you’ve got a collection that you want to watch on several different TV’s, then a portable hard drive may be the way to go. You may also want to look at a home NAS (Network Accessible Storage), but that’s a topic for another article. For now, just know that portable hard drives usually give up a little bit of speed for the flexibility to take them anywhere you want. Speaking of speed, the second thing to look for is to make sure that you’re buying a USB 3.0 hard drive. If your TV box has USB 3.0 ports, and you’re ever going to stream 4K video, then you’re definitely going to want to get a USB 3.0 drive. You can save a bit of money on the drive and skip this, but you’ll be limiting yourself to lower resolution videos because the drive can’t pump enough information to your TV box. Personally, all of my drives are Western Digital. Over the years, I’ve bought a couple from Seagate and Maxtor, but they never lasted as long as my Western Digital drives. I don’t know about you, but I never seem to have enough TV connections to plug in all of my stuff. I don’t have a home theatre receiver in my living room yet. Between my NVIDIA Shield, soundbar, Blu-ray player, and Xbox, I’ve got four devices all trying to use the one HDMI port on the back of my TV. I’ve tried to use this excuse to buy a newer television, but for some reason that hasn’t worked out for me so far. Fortunately, there is an easy fix. An HDMI switch take the one HDMI port on the back of your TV and give you additional ports to plug in your other devices. 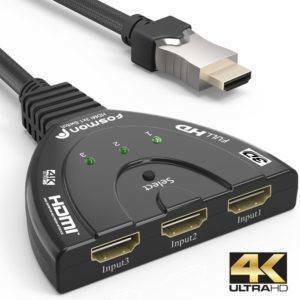 You can get consumer-grade HDMI switches with as few as two ports or as many as eight ports. See my Fosmon HD8061 review here. One thing to watch out for: There’s a difference between an HDMI Switch and an HDMI Splitter A Switch will allow multiple devices to share a single port and switch back and forth depending on what you want to watch, An HDMI Splitter will split the same signal from your device out to multiple TV’s or monitors. Be careful you’re buying the right one for what you want to do. To keep it as simple as possible, I like the Fosmon 3-port 4K HDMI Switch. It has both automatic and manual switching, as well as LED lights to quickly tell you which input you’re using. All of this for less than $25. I hate seeing wires. You probably do to, or at least someone you live with probably does. You could stuff your streaming device and all of its cables in a video cabinet under your TV, but what if your TV is wall mounted? There are two companies, Innovelis and HIDEit, that make a line of TV box accessories which includes wall and television mounts. Of the two, I prefer HIDEit mounts because you can adapt them easily to many different streaming players. Innovelis mounts are smaller, but specifically designed for Roku or Apple players. No matter which one you choose, it will help you get that tangle of cables behind your TV under control, and maybe buy you a little bit of peace at home too. OK, so this isn’t really one of the “must-have Android TV box accessories, but it’s pretty cool anyway. 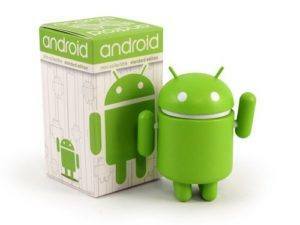 Android figures have been out for a few years, but lately it seems like they’re getting harder and harder to find. If you’ve been looking at these, but never actually picked on up, this may be one of your last opportunities before they get very expensive. If you’re not already using HDHomeRun to get live TV on your TV box….why not? The basic idea behind HDHomeRun is that you can attach an HD antenna, like the excellent ones from Mohu, to your HDHomeRun device and then share that signal out through your network to every device you have. Yup. Every device. It doesn’t matter if it’s a TV box or your iPad. 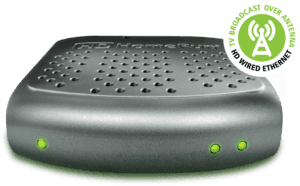 HDHomeRun will stream whatever signal you hook into it over your existing home network. I go over all the details about the HDHomeRun lineup here. It will even work with your cable TV box, if you still have one. This may have been designed for cord-cutters, but it isn’t a requirement. I have the HDHomeRun Connect, which is pictured here, hooked up to my Mohu Curve powered antenna. With the two of them I can pick up signals up to 30 miles away – including free over-the-air HDTV channels. I’m a huge fan of Logitech keyboards and mice. To me, there’s something very satisfying about the feel of their products. When I started this site a few years ago, my go-to controller was actually the Logitech K400 touchpad keyboard. It was a great keyboard, but it just didn’t look right sitting next to my sofa. It still felt like a computer keyboard. 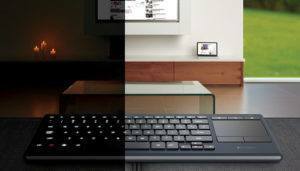 Fast forward a few years, Logitech has brought out the K830 illuminated multimedia keyboard, designed to be used in your living room. It is slightly larger than the older K400 and newer K400 Plus, but reimagined to look sleeker and more streamlined. The Logitech K830 may be a little more expensive than you’re used to paying for a keyboard, but if you don’t like the way air-mouse controllers feel, this may be something to take a look at. To read why exactly I picked this keyboard as my “go-to” keyboard, check out my Best HTPC Keyboard roundup article. To me, the great thing about Android TV box accessories is that this is where you can really make your TV box your own. Everyone has different habit, different uses for TV boxes. The accessories you choose will help to make your next movie night your best movie night. What do you think? 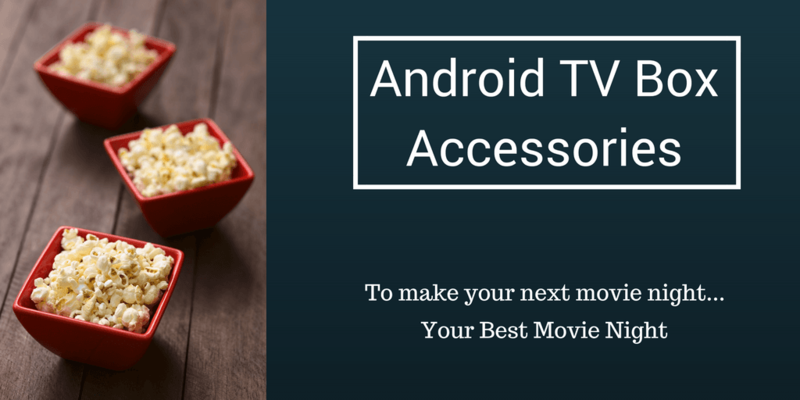 Have any killer Android TV box accessories that you think should be on this list? Let us know in the comments below. Thanks this has been very helpful. I’ve already set up my media portal using Kodi. And this article has truly helped with some of the questions that I have had. Keel up the good work. You are a fountain of great information my friend. This is an excellent article. Thanks for this information, they are really useful. My problem is that I have M8S Tv box and connected to the internet using cable and I have vergin broadband with 50Mhz fibre optics, but still sometimes the picture freezes or donot come at all. Any help on this please. I have been using a SkyStream X5 for the last few months and I really like it very much, its so cool to say goodbye to the bottom feeding cable company. The only bad thing I have to say about the X5 is that the remote control is almost worthless that’s why using my Logitech K400 makes it a breeze to use. Tim I also wanna thank you for all the wonderful information I have gotten from you along with the newsletter and anything else I could find from you. Thanks for your hard work, I appreciate very much. Also I’m wondering if you know why the SkyStream X5 didn’t last long and will soon be replaced by SkyStream One. Hi again Miklo. I think that a keyboard\touchpad combination is a definite must-have, especially when you’re getting the TV box set up. There are too many passwords and configurations and having a keyboard will make it super-easy. Once it’s working the way you want, then I would switch to an air-mouse or regular remote control. I don’t have an answer for you about the X5, though. Looking back at the timing, it may have only been designed as an “in-between” model. The SkyStream One came out awfully soon after the X5, didn’t it? What size hard drive is recommended for storage? It depends on your collection. A single CD will be around 120MB. A single DVD movie takes a little over 4GB. One Blu-ray movie is around 30GB. That adds up fast. I have a Western Digital MyCloud 2TB external drive, and I’m running out of space. It has other things on it besides my media collection, but hard drives are priced cheap these days. More is better. The link for the Fosmon 3-port HDMI switch at Amazon.com is pointing to something else. Thanks for the info. Good article. All accessories are described here are required. And also require a ipTV subscription package otherwise what you will see on your TV? Great article, I have an Element Ti4 box, The remote control that came with it is a nightmare and thinking about getting one with a keyboard!! Hi David. It all depends on how you use it, but the more I use TV boxes in daily streaming, the more I’m looking at getting a media keyboard. Even on an airmouse with a keyboard (like the MINIX NEO A2), it is still brutal to type in email addresses or passwords. Hi David … great site and great info. One thing I am needing to know before I start buying. Does an external USB disk connected to the Android TV Box show up on the network so that files can be added and deleted from a network computer? Hi Mike. You could set it up as a shared drive, but I think it would be better (and faster) to just buy a network hard drive and have the Android box access that instead of the other way around.